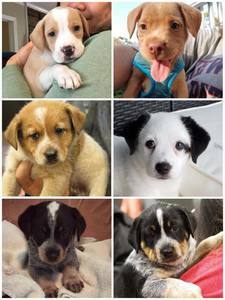 DAWS puppies now available for adoption! DAWS has puppies! These eight-week-old Australian cattle dog/blue heeler and lab retriever mix pups are officially ready to find families of their own. All of these cuties are currently in foster homes, not at the shelter.